Following on from the successful County Lines Working Group meeting in June 2018, the newly named Child Criminal Exploitation Working Group met on Thursday 11th October at the Titan offices. The meeting was incredibly well attended with over 30 members of staff from Titan schools and colleagues from West Midlands Police, Community Groups in attendance. We were also joined by Thomas McNeil, strategic adviser to the Police Crime Commissioner for the West Midlands. The meeting gave opportunity for a discussion on the County Lines issues that our schools are facing with Chief Inspector Phil Cape providing an update on the County Lines challenge in the Birmingham area and further developments regarding West Midlands Police’s solutions and initiatives to address this. Sergeant Tom Dobrovic provided a brief overview of the pilot projects undertaken in the south of Birmingham and the initial impact reports whilst Superintendent Mat Shaer provided an update on the wider CCE challenges in Birmingham. Kelly Walker from the Spurgeons ‘BeLeave Project’ joined the meeting to provide details of the programme and its focus on reducing the number of girls involved with gangs in Birmingham by providing support to them and their families. Shauna Breen from the Children’s Society then provided an overview of the work of the Disrupting Exploitation Team and how schools can access this. Schools were given the opportunity to discuss specific incidents in schools believed to be related to County Lines or CCE and to explore the ways in which they are or might be tackling this. The group then discussed the potential of the Titan network and partners working together for positive solutions to gang, violence and criminal activity amongst our young people and how resources can be collated and signposted most effectively. 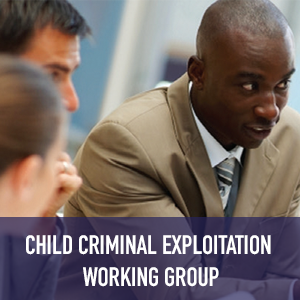 The next Child Criminal Exploitation Working Group meeting will take place on Thursday 17th January, 2019. If you would like to attend please contact us.